Our Voyagers® are, ounce for ounce, far stronger than 99.9% of our competitor’s folders. And this is a fact, not an idle boast. Each knife features precision made parts with a stiff spring and our incomparable Tri-Ad® lock mechanism which is arguably the strongest, most reliable, low maintenance lock in the world! The thick, extra wide blades are made from Japanese AUS 8A steel and meticulously ground to a thin edge for maximum shearing potential. This thin edge also allows us to hone each blade to astounding sharpness. And, because of the high carbon content of the steel, and their near perfect heat treatment, you’ll find this sharpness last a surprisingly long time. 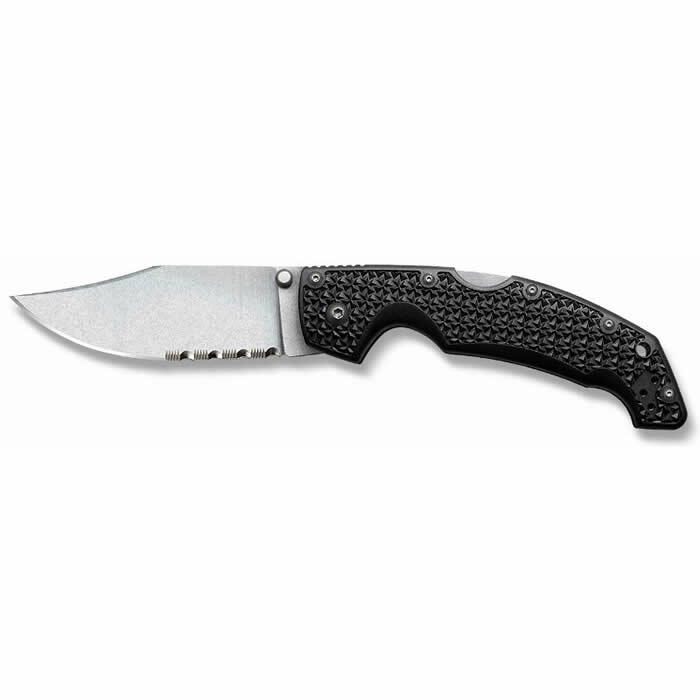 If you like serrations, you’ll really appreciate our exclusive pattern. It features groups of very small, sharply pointed teeth separated by wide, shallow arcs so it will rip smoothly yet very aggressively through a wide variety of tough fibrous materials without snagging or hanging up. Grivory is unparalleled as a handle material as it is considerably stronger than Zy-Ex and, when deeply textured, offers a terrific non-slip grip. As an added bonus, it’s impervious to moisture and won’t crack, warp or shrink and remains remarkably resistant to abrasion or discoloration.